The federal government has announced that thousands of additional US soldiers are being sent to Liberia. General Gary Volesky said the troops would “stamp out” ebola. The official story is that combat troops are being sent to build treatment structures for those infected with ebola. Why combat troops? Why not send a construction outfit such as an engineer battalion if it has to be military? Why not do what the government usually does and contract with a construction company to build the treatment units? “Additional thousands of troops” results in a very large inexperienced construction crew for 17 treatment units. It doesn’t make sense. Stories that don’t make sense and that are not explained naturally arouse suspicions, such as: Are US soldiers being used to test ebola vaccines and cures, or more darkly are they being used to bring more ebola back to the US? I understand why people ask these questions. The fact that they will receive no investigative answer will deepen suspicions. Uninformed and gullible Americans will respond: “The US government would never use its own soldiers and its own citizens as guinea pigs.” Before making a fool of yourself, take a moment to recall the many experiments the US government has conducted on American soldiers and citizens. For example, search online for “unethical human experimentation in the United States” or “human radiation experiments,” and you will find that federal agencies such as the Department of Defense and Atomic Energy Commission have: exposed US soldiers and prisoners to high levels of radiation; irradiated the testicles of males and tested for birth defects (high rate resulted); irradiated the heads of children; fed radioactive material to mentally disabled children. The Obama regime’s opposition to quarantine for those arriving from West Africa is also a mystery. The US Army has announced that the Army intends to quarantine every US soldier returning from deployment in Liberia. The Army sensibly says that an abundance of caution is required in order to minimize the risk of transferring the ebola outbreak to the US. However, the White House has not endorsed the Army’s decision, and the White House has expressed opposition to the quarantines ordered by the governors of New York and New Jersey. Apparently pressure from the White House and threats of law suits from those subject to quarantine have caused the two states to loosen their quarantines. A nurse returning from treating ebola patients in West Africa has been cleared by New Jersey for discharge after being symptom-free for 24 hours instead of the 21-days it takes for the disease to produce symptoms. The nurse threatened a lawsuit, and the false issue of “discrimination against health care workers” has arisen. How is it discrimination to quarantine those with the greatest exposure to ebola? Once symptoms appear, an infected person is dangerous to others until the person is quarantined. As the CDC now has been forced to admit, after stupidly denying the obvious fact, the current ebola strain can spread by air. All it takes is a sneeze or a cough or a contaminated surface. In other words, it can spread like flu. Previous denials of this fact helped to create the suspicion that the new ebola strain is a weaponized biowarfare strain created by US government labs in West Africa. 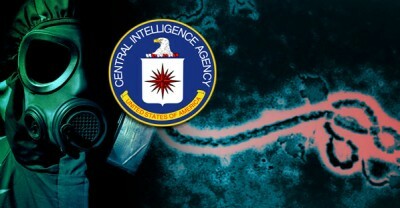 As University of Illinois law professor Francis Boyle has revealed, Washington placed its biowarfare laboratories in African countries that did not sign the convention banning such experimentation. Washington’s deviousness in evading the convention that the US government signed has produced another suspicion: Did the new ebola strain escape, perhaps via some lab mishap that infected lab workers, or was the strain deliberately released in order to test if it works? The only intelligent and responsible policy is to stop all commercial flights to and from ebola areas. Health worker volunteers should be transported by military aircraft and should be required to undergo the necessary quarantine before being transported back to the US. Why does the White House oppose the only responsible and intelligent policy? Why is Congress silent on the issue? The resistance to a sane policy fosters the suspicions that the government or some conspiracy group intends to use ebola to declare martial law and herd the population or undesirable parts of it, into the FEMA camps that Halliburton was paid to construct (without the public ever being told the reason for the camps). It is certainly strange that a government involved in long-term wars in the Middle East, the purpose of which is unclear to the public, and in fomenting conflict with both Russia and China, two countries armed with nuclear weapons, would so recklessly create more suspicions among the public of its motives, intentions, and competence. Democracy requires that the public trust the government. Yet Washington does everything possible to destroy this trust and to present a picture of dysfunctional government with hidden and undeclared agendas.